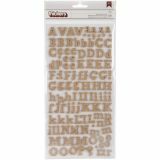 DIY Thickers Alphabet Stickers 6"X11" Sheets 2/Pkg - AMERICAN CRAFTS-DIY Thickers Fabric Stickers. 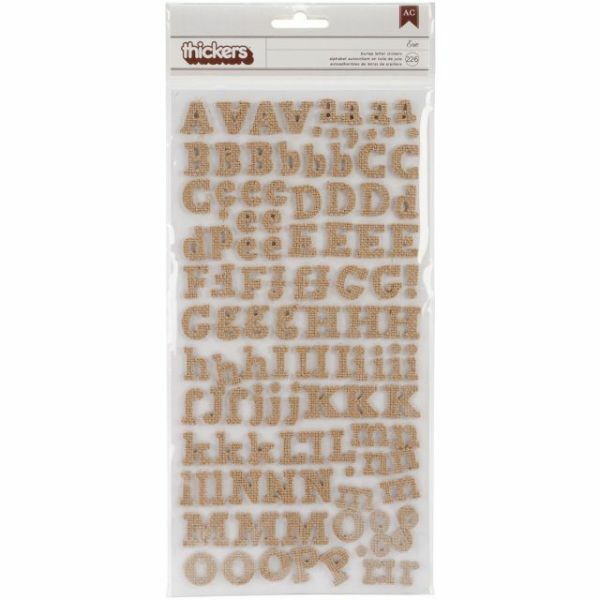 Available in a variety of fonts and styles, these chipboard stickers help your scrapbooking and card making thoughts stand out with eye-popping dimensional effects. Each letter is 1/16 inch thick chipboard which has been covered in plain white fabric-- embellish them with inks, stains, sprays, markers, and other such mediums for a truly customized look. This package contains two 11x5-5/8 inch sheets with an assortment of letter, number, and punctuation mark stickers. Available in several fonts (each sold separately). Number of stickers per package varies. Acid free, archival quality. Imported.